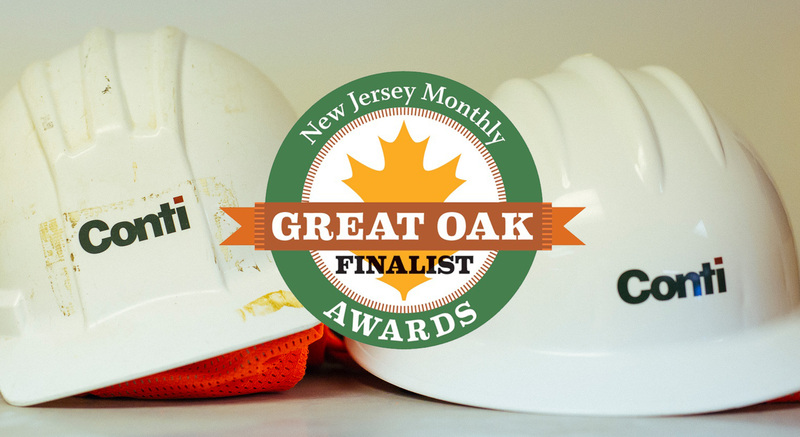 NJ Monthly magazine in its August issue has announced Conti as a finalist for its Great Oak Awards. Stemming from the magazine’s Seeds of Hope program, the Great Oak Awards honor businesses for their work on behalf of charitable causes. Now in its second year, the awards are judged by three experts in charitable giving. They have selected 56 finalists after reviewing hundreds of applications. Conti, headquartered in Edison, New Jersey, was selected to be a part of this group for its commitment to its employees and to the community. Through Conti’s Community Program, full-time employees can take paid time off to volunteer for the charity of their choice. Conti’s group events support Habitat for Humanity, Komen Race for the Cure and other worthy causes selected by employees around the world. An awards banquet will be held and the finalists announced at 6:00pm on Tuesday, September 30th at The Palace in Somerset Park.